In case your weekend needs a pick-me-up, one fast food restaurant chain is here to deliver. 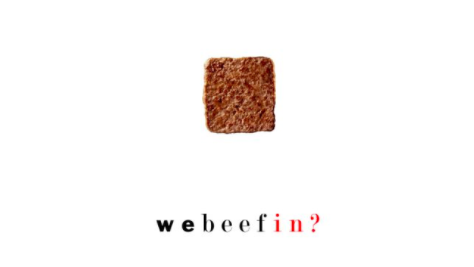 On Friday (March 23) Wendy's shared an unexpected mixtape, We Beefin'?, full of songs that take aim at its competition, namely firing shots at McDonald's and Burger King. Yup, 2018 sure is different. The five-track project features songs such as "Rest in Grease" and "Clownin'," and surprisingly isn't all that terrible. At the very least, Wendy's scores a point for creativity and a point for knowing how to engage its audience in the age of social media, as the tweet promoting the project has already garnered over 57,000 retweets. "You number one? That's a joke / Why your ice cream machine always broke? / Why your drive-thru always slow / Why your innovation can't grow," is just one example of the lyrical hilarity woven into the franchise's latest marketing experiment. Take a listen to Wendy's promotional mixtape, We Beefin'?, below. Because why not.